Surviving After Suicide is a 7-week workshop for adults (18+) who have experienced the death of a loved one by suicide. This workshop is designed to provide members with information about the grieving process and to provide a weekly safe, supportive, and non-judgmental space to share their experience and feelings with others who share a similar loss. Pre-registration is required as space is limited and attendance at all meetings is requested to facilitate healing. The cost of the workshop is $150.00 for the seven-week series and includes all materials, activities and light refreshments at each meeting. 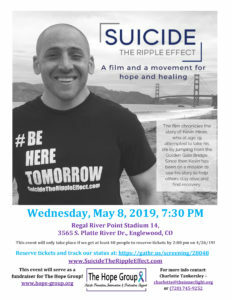 Please see www.survivingaftersuicide.com for more information or to register.